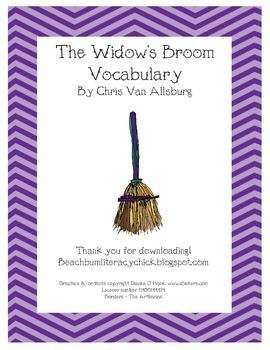 This vocabulary activity pack aligns with the story The Widow's Broom by Chris Van Allburg. 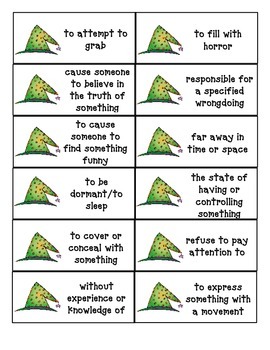 There are 4 different activities in this file. 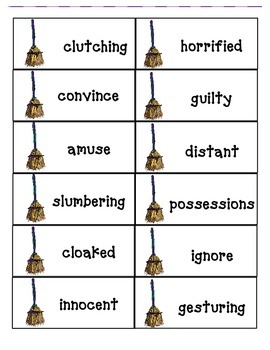 The first activity is a vocabulary matching activity containing 20 words, mostly tier 2 vocabulary. 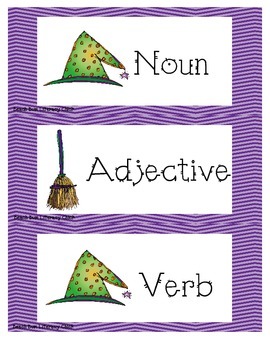 There is also a part of speech sorting activity, a syllable sorting activity, and an ABC order activity.